An increasing number of Buddhist priests are re-evaluating funeral services amid rapidly changing attitudes over the way they are conducted. Hideo Usui, chief executive of Jiin Design Co., which provides business advice to Buddhist temples, is among those helping spur the revision. In July, Usui held a seminar for priests, pointing to gaps in perception of funeral services between them and consumers, who often complain about high costs — like ¥300,000 for a short Buddhist chant. Usui also spoke about the history of Buddhist priests consoling the spirits of the dead and easing the sorrow of the bereaved. Despite growing discontent with high funeral costs, priests have “refused to squarely face the question of how ‘Funeral Buddhism’ should be,” he said. Funeral Buddhism, or “soshiki bukkyo” in Japanese, refers to widespread practices by priests focusing only on funerals, rites and activities after death. It is often used to criticize Buddhist monks’ inability to help the living. 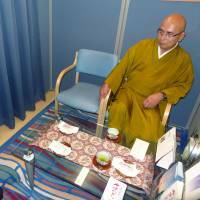 The seminar led to the establishment of a study panel on Buddhist funerals, which held its first meeting in mid-November in Tokyo. Some 30 priests participated. Member priests of the panel are increasingly concerned about weakening ties between temples and people, which used to be much tighter, mainly through funeral services. As relationships in extended families have weakened and family-based traditions have faded in modern Japan, people are tending to shy away from funerals and instead bring the bodies of their family members directly to crematoriums. And yet many people reaffirmed the importance of funeral services following the massive earthquake and tsunami of March 2011 that ravaged the Tohoku region. Members of the panel therefore will take up such issues as how best to provide solace to grieving people in order to become “pioneers of new Buddhism,” one of the participants said. Wajo Ogurosawa, 29, deputy head priest at Shoganji, a temple in Kesennuma, Miyagi Prefecture, belonging to the Soto sect, says he wants to know how funeral services should be conducted as he heard that his temple was founded in the early 17th century to console the spirits of miners killed in a cave-in. Some 120 supporters of the temple died in the 2011 quake and tsunami. Such services came under scrutiny in 2009 when retail giant Aeon Co. entered the funeral business and posted standards for monetary offerings to priests on its website. It shocked many temples and invited strong protests from some of them. Some priests have broken with convention, however. Junshin Hashimoto, the 65-year-old chief priest of Nanto Jurin-in Temple in the city of Nara, visits the homes of recently deceased people to chant scriptures and after cremation lays out their remains in the temple’s main hall, which is designated as a national treasure. He makes clear he charges ¥160,000 for each funeral. 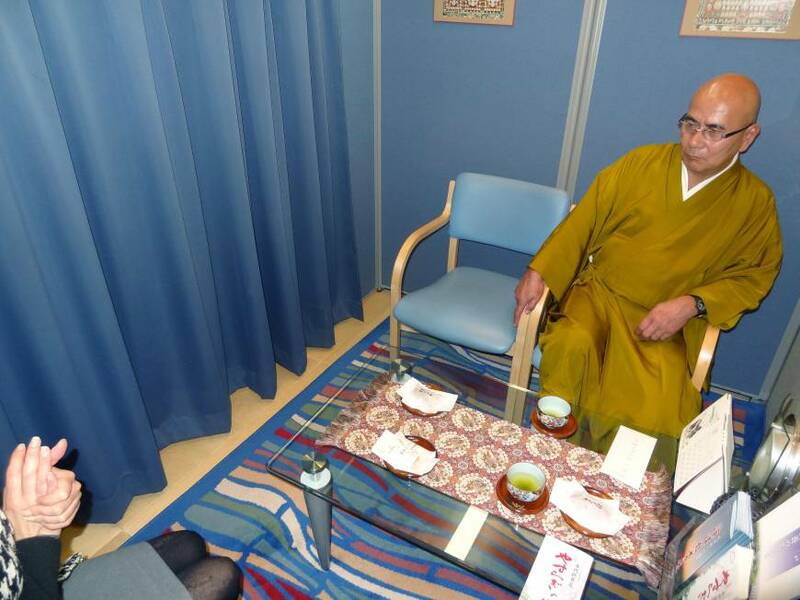 Hashimoto has also set up a consultation office in a shopping district to directly meet people in need of advice.